The quick answer is...Yes. This is attributed to the abrasive particles in the grains. Stains produced by coffee, black tea or the use of tobacco produce grey and yellowish stains that remain attached to the tooth if not cared properly. But the question is How can I use baking soda in a proper way? People used to clean their teeth using pulverized stone or salt. The problem was that by the only use of baking soda, it does not work as a whitening method. 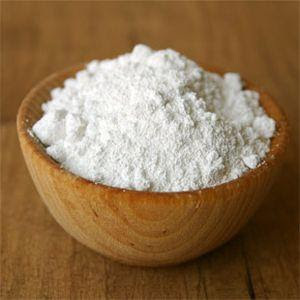 Later on the use of baking soda became more popular in thooth paste along with hydrogen peroxide. These type of products are so abrasive that if used as a regular basis it can damage the tooth enamel and in some cases it can produce tooth sensivity. Some people suggest that using the tooth once every 2 weeks works just fine. But if you really are thinking of whitening your teeth by yourself, ask your dentist before which and what is the best long term solution without compromising your teeth health. When we talk about dental restorations we have to highlight the 2 main categories: Direct Restorations and Indirect Restorations. 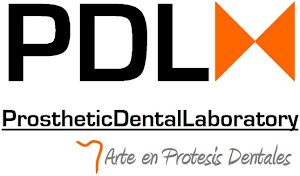 Direct Restorations are the ones were the dentist perform directly in the mouth of the patient inserting or aplying an especific material and usually those are elaborated only in one session while in the other case, Indirect Restoration are the ones the dentist prepare a cavity or the whole piece to receive either an Inlay, Onlay or full Crown made in the Laboratory, reason why it is necessary at least 2 sessions for the procedure. The materials used for Indirect Restorations can be gold or base metal alloys, but recently a new composite is rapidly positioning in the top as the best option for Indirect Restorations, and this is the new Signum universal and special composite. 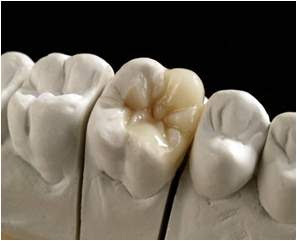 What makes this composite unique is that is made of microfine fiber particles and a special matrix formula that interact together to ensure a natural looking, higher resistance to fractures and a very aesthetic restoration. Although many people hear more often about the ceramic restorations and their long durability, we can surely say that the success of a composite restoration depends mainly on the skills and experience of the dentist at the time of adjusting and bonding the composite to the natural tooth. 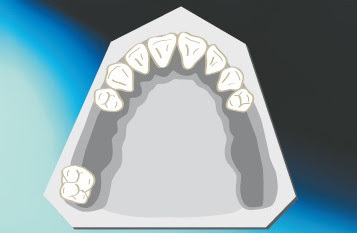 In cases where in the mouth teeth are missing, edentulous situations are grouped in 4 categories that were defined by Dr. Edward Kennedy in his classification of partially edentulous arches. This type is for people who are missing some or all of their teeth on both sides in a single arch and there are no teeth posterior to the edentulous area. 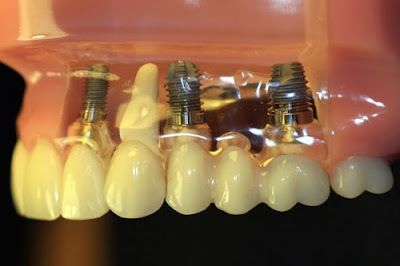 Class I RPD´s clasp onto the teeth are more towrds the front of the mouth, while replacing the missing more back of the mouth teeth on both sides with false denture teeth. RPD´s are fabricated for people who are missing some or all their posterior teeth on one side in a single arch, and there are no teeth behind the edentulous area. Thus, Class II RPD´s clasp onto teeth that are more towards the mouth, as well as on teeth that are more towards the back of the mouth of the side on which teeth are not missing, while replacing the missing more back of the mouth teeth on one side with false denture teeth. RPD´s are fabricated for people who are missing some teeth such that the edentulous area has teeth remaining both posterior and anterior to it. Unlike Class I and Class II RPD´s which are both tooth and tissue borne, Class III RPD´s are strictly tooth borne, which means they only clasp onto teeth and do not need to rest on the tissue for added support. This makes Class III RPD´s exceedingly more secure as per the three rules of removable prostheses that will be mention later namely: support, stability and retention. However is the edentulous area described in the previous paragraph crosses the anterior midline, the RPD is classified as a Class IV RPD. 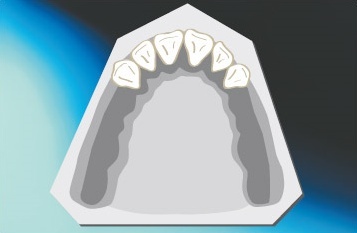 By definition, a Kennedy Class IV RPD design will posses only one edentulous area. Classes I, II and III RPD´s that have multiple edentulous areas in which replacement teeth are being placed are further classified with modifications states that were defined by Oliver C. Applegate. 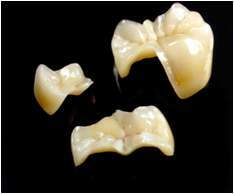 Kennedy classification is governed by the most posterior edentulous are that is being restored. 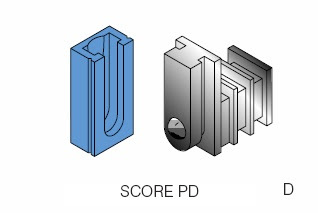 Thus, if for example, a maxilary arch is missing teeth #1,3, 7-10 and 16, the RPD would be Kennedy Class III model 1. It would not be Class I, because missing third molars are generally not restored in an RPD (although if they were, the classification would indeed be Class I), and it would not be Class IV, because modification spaces are not allowed for Kennedy Class IV. An occlusal splint or sometimes called night guard is mostly recommended to patients that are heavy grinders, or bruxes*. Since most of the damage caused by teeth grinding is when we sleep, a splint ussually stops or prevent further damage. 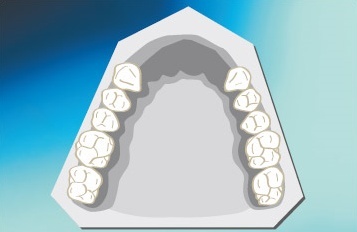 The guard is custom made the upper or lower arch of the mouth. 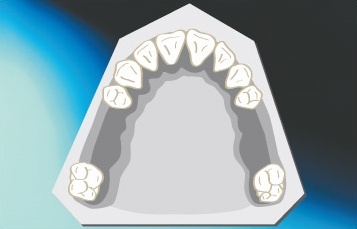 When the night guard is in place, the patient can not grind their teeth together and cause more damage. 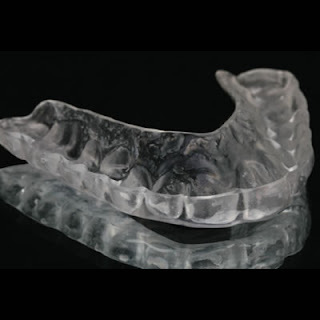 The guard is worn during night maybe 4-5 nights a week and has been proved that they reduce the chance of fracture and tooth surface loss in the long run. *Bruxism is the nocturnal unconscious grinding or gnashing of the teeth. It has been linked to stressful life events and occlusal or bite irregularities. Research shows that the maximun clench force capability during bruxism is up to 4 times the maximun conscious force in some subjects. What is a dental attachment? An attachment is a connector that is formed of 2 or more parts. One part is connected to a root, tooth, or implant and the other part to a prosthesis. There are certain exceptions as some attachments have only one manufactured part and the other part must be made by the dentist or the dental technician. Attachments can be divided into two categories: Precision and Semi-Precision. We will examine both of them prior to attachment consideration. Precision attachments are just that - "precision". Their components are machined in special metal alloys under precise tolerances. These tolerances are within 0.01 mm. Since the specific hardness of the alloys is controlled, precision attachments offer the advantage of less wear on the abutments, and standard parts which allows the components to be interchangeable, and usually easier to repair when necessary. 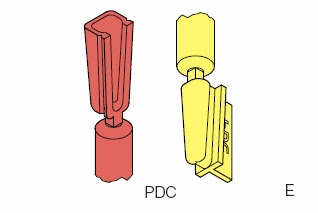 A semi-precision attachment is fabricated by the direct casting of plastic, wax, or refractory patterns. Most semi-precision attachment patterns are injection molded to reduce the overall cost. They are considered "semi-precision" since in their fabrication they are subject to inconsistent water/powder rations, burn out temperatures, and other variables. The resulting components therefore, vary to a small degree. Their main advantages are: economy, easy fabrication and ability to be cast in a wide choice of alloys without the problem of co efficiency differences between the cast alloy and the machine alloy. To make an exact replica of the natural function and look of the missing tooth it's a hard mission to accomplish. Throughout history, people have tried dentures or ceramic restorations as replacements, but in the end the results are not satisfactory for many. That is why dental implants came into existence, offering a more natural look and the same function as the natural tooth root. They have also been used to anchor dentures and ceramic restorations with greater success and patient satisfaction. A dental implant is a small titanium post that works as the root structure for a natural tooth. They are placed either into your upper or lower jaw bone. When implants are integrated to the bone, they can now hold a crown, bridge or over-denture as in the case of natural roots. It is worthy of mentioning that they are very durable and can last a lifetime, with no need for special maintenance but only regular brushing, flossing and dental check ups.